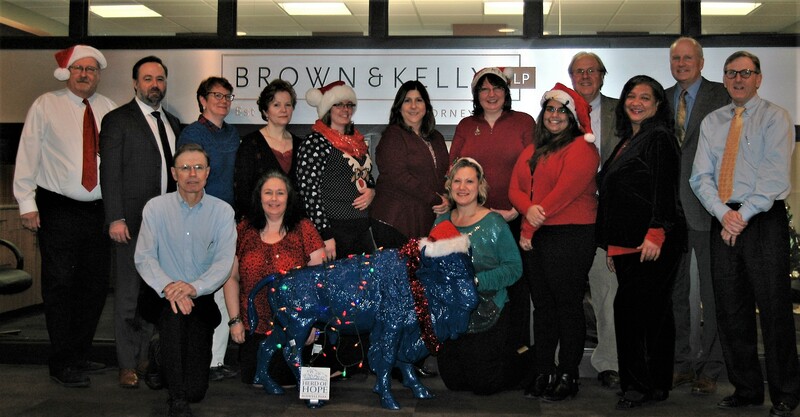 Brown & Kelly has joined the “Herd of Hope campaign with Roswell Park. Brown & Kelly has joined local businesses in support of Roswell Park’s “Herd of Hope” campaign in their fight against cancer. By making a corporate donation to Roswell Park, we have been awarded a“blue buffalo” acknowledging our support. We are also featured on Roswell’s Herd of Hope campaign website, https://herdofhope.org/sponsors/. We are all very proud to be a part of Roswell’s program! Happy Holidays!